You have two options for sharing: you can use the default 'Public' folder or you can share any folders that you want other users to access. When using the 'Public' folder, you gain the simplicity of sharing everything from one single location and you don't need to configure sharing permissions. The main disadvantage is the fact that, in order to share, you have to copy the files and folders to the 'Public' folder. So you might end up having the same files or folders twice on your computer, which will waste valuable space on your hard disk. When using any folder for sharing, you can set different sharing permissions for different folders, so that you can control the way other users can access or modify the shared content. It is recommended that you use this method mostly when sharing large files, as you eliminate the result of having two copies of the same file or folder. 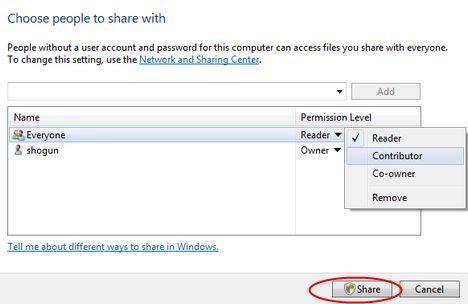 First, enable the 'Public folder sharing' option from the Network and Sharing Center. When enabling it, you can give others 'Read-only' permissions by choosing the first option or you can give them full access by choosing the second option. 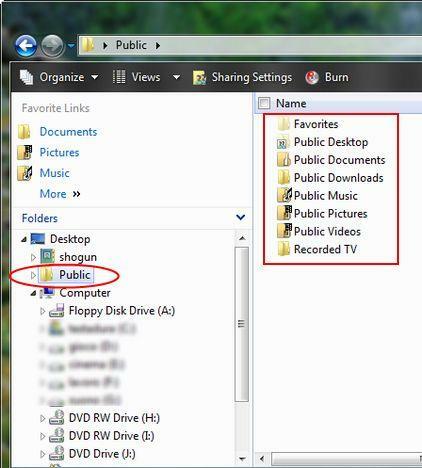 Once the 'Public' folder sharing is turned on, each time you start Windows Explorer or you open the Computer shortcut, you will see it as a sub-folder of the Desktop folder. The default path on your hard disk is "C:\Users\Public\." To share a file or folder, just copy it to the 'Public' folder or to any of its sub-folders. If you don't want that file or folder to be shared any more, just remove it from the 'Public' folder or move it to another location on your hard disk. If you want to share a folder, browse until you find it, right click on it and select Share from the right-click menu. The File Sharing wizard will now start. By default, the sharing access is given only to your user account. To give access to other people, select their user account names from the scroll list as shown below. If you want to give access to all the users from your network, select Everyone. 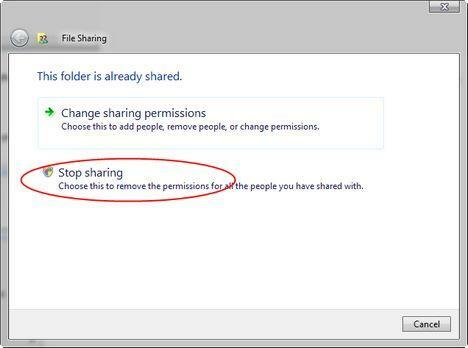 In order to configure the sharing permissions select each of the listed users, click on the arrow shown in the Permission Level column and select the level you desire. If you set the permission level to Reader, the user will be able to open the files from the shared folder but will not be able to modify them in any way. His access will be read-only. When selecting Contributor, the user will be able to open and modify files. When you set it to Co-owner, the user will be able to remove and create other files and folders. If you select Remove, that user account will be removed from the list of users that have access to the shared folder. When finished, click on the Share button. If UAC is turned on, you will have to confirm your settings. After a while, the wizard will show you the confirmation that the selected folder is now shared. To close it, click Done. 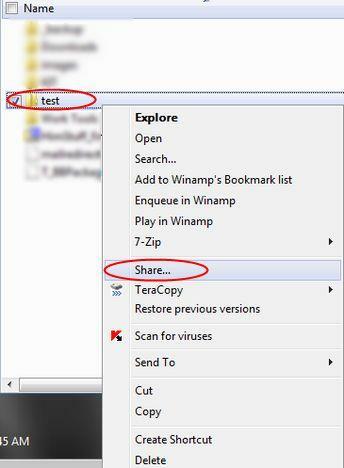 When you want to stop sharing a folder, right-click again on it and select Share from the context menu. 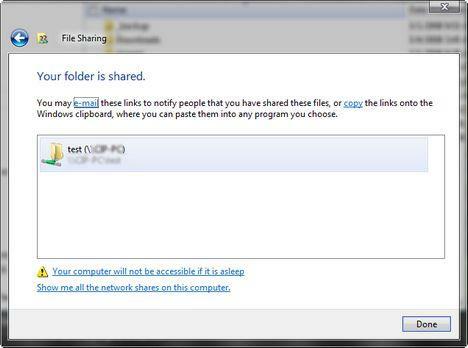 In the File Sharing window, select Stop sharing and then click Done. I understand how to share folders, but I want to share my entire C drive so that my other home computers can access anything on the Vista system. I have set up sharing on it, and I can see it from another computer, but if I click on it, it says I do not have permission to access it. Is that not allowed in Vista? Hello, I have shared the Public folder with onother user (not an administrator) on my computer (Vista) and that user can still modify file sin the Public folder eventhough their permissionnhas been set to "Reader". Any clues as to what I may be doing wrong? I've tried sharing a music folder on vista so another user of same computer can access it but when I log in as the specific user I set permissions to I don't see it. What the? I am the administrator when I share the folder and I have file sharing and public folder sharing enabled in the network and sharing center. Should I just map the bleedin drive? This was driving me nuts too. I have 3 Vista PCs and wanted to share multiple internal hard drives across my network. I could see all the drives I shared but could only access some (very weird). Like PC #1 get into a drive on PC #3, but not on PC #2, and so on. Kept giving me the 'You do not have permission' error message. Oh, BTW, the 'Public' folder on each PC was always available on every other PC across the network, but back to the problem. 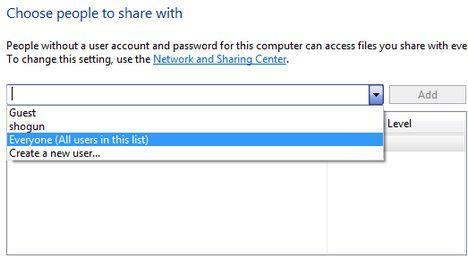 Make sure each PC is set to be on a 'Private' network (look in the Networking & Sharing Center, there is a small hyperlink in the middle on the right). Make sure all the little green circles for Network detection and file sharing are set to OK.
Make sure the name of the Network is the same on each PC. Make sure the Workgroup is named the same on each PC. Go to My Computer and right click on the hard Drive you want to share. Click on properties. Click on the Sharing Tab. The share button may be grayed out (it was on mine), don't panic. Click the 'Advanced' button below that. Now make sure that you add 'Everyone' and click all the check boxes below to all FULL Access. Now, this is where the solution comes in (at least for me). Click the SECURITY tab. Add 'Everyone' under this tab too. When you do this it may have a dialog box pop up as it is scanning your drive, just keep clicking OK. For me I had to click that lot (it keeps saying something about the resource is currently in use), a bit of a pain but once it scans the drive you are done. Click OK to close all the dialog boxes and you should see and be able to access each each HD you share across all the PCs! Just FYI, I do not have any passwords set on any of my computers and my user names are all different on each PC, but all my PCs are Vista OS. Some people were reporting that you need to have the same UN and PW (and not blank) on each machine. This may apply if you have a mix of XP and Vista computers, not sure. So if the problem is still not fixed, you may also need to try that. Thank you for your help, worked great! I have a Vista desktop sharing a partition with my Laptop running XP , Once you have the everyone group selected under the security tab , User names and passwords wont matter .. My Vista account has a user name and password, tho I did not have to use them when mapping the drive from my XP laptop..
You just saved me from tearing my last hair out. I tried EVERYTHING with no success. You gave me the actual solution. Thanks! But I am still facing some problems. After I select the folder and share with "everyone", it shows: Your folder could not be shared. Also, after sharing from this laptop, I am not sure how to retrieve it from my XP desktop. Thanks for your help! I am also encountering the same problem as Eddy.. 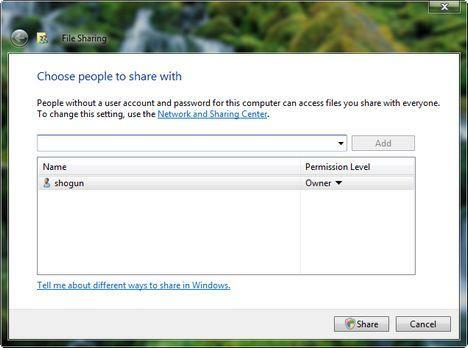 If my share is accessed, a login window is displayed whereas I have not set any passwords for public sharing folders. Your folder could not be shared. No other info is given as to WHY they can't be shared. Is VISTA a modern GUI?? ?